There are times when you’ll find an absolutely beautiful home — one that’s just amazing — and as you look through the photos on Realtor.com you’ll wonder what’s so wrong with this beauty that it’s only $60k or $160k or $360k, whatever’s cheap as dirt for your area. The kitchen’s tiled, the bathrooms are exquisite, everything looks practically new… in short, this is the house of your dreams. There’s only one thing missing from the online listing, photos of the outside. That in itself is a bit of a red flag to me, but sometimes it’s merely a sign that the Realtor has no business selling anything rather than the house has an outdoor related issue. Other times, wowie, you’re going to pull up to that house and wonder what the heck is going on there. My dad’s house is an excellent case in point. It was a new construction home for the prior owner, who ended up passing on before ever moving in. It remained entangled in probate for about six months, during which time no one bothered to do any outdoor maintenance. In short, the house was buried by wild Southwest Missouri jungle by the time my dad had a chance to take a look at it. I was already out of the real estate business when he bought the place, but I understand the appraisal was quite a bit higher than they expected, wilderness aside. So, in this case, having problems with the outside of the home was a huge benefit to my dad. But that’s not always the case, so I wanted to walk through some common problems you might see outside and, like the other areas we’ve covered, we’ll decide if they’re panic-worthy or if it’s something you can probably handle. Of all the problems I’ve seen in homes that homeowners immediately mis-estimate, porch, decks and patios seem to be the worst. I’m not really sure why. It’s true that fixing a deck or a patio can be a huge headache, depending on how often it’s used and what’s wrong, but often those repairs are extremely minor. Then there’s the point where the deck or patio is well beyond salvaging. A cement patio that’s deeply pitted and gouged or that has deep cracks is probably long gone. You can only patch so much. A wooden deck with rot throughout the flooring and structure is done. You can’t scab over that, you tear it apart and throw it away. So, step one is figuring out just how bad the problem actually is — and that’s going to require you to take a realistic look at things. What it Can Cost: The cost of repairing a deck or patio will vary based on how extensive the damage is and whether or not you’ll need an expert in to make the repair. If the deck simply needs a couple of boards replaced or has some nails coming loose, this is something you can easily handle on your own. If the structure underneath is unstable, you’re going to need help. The same goes for a patio. Cement and stone can be difficult to repair if you have no experience with them, so even a small repair may require an expert. Cement patios, especially, often look patched if you try to DIY it without extensive research and knowledge on how to blend and stain your repair to match the rest of the aged patio. Stone patios can be simpler, depending on the condition of the paver base. Rebuilding from scratch can be quite costly, according to HomeAdvisor. A deck that’s less than 200 square feet will cost an average of $4,836 to complete. A 12×12 concrete patio averages $1,224, flagstone $2,592 and pavers $1,440. 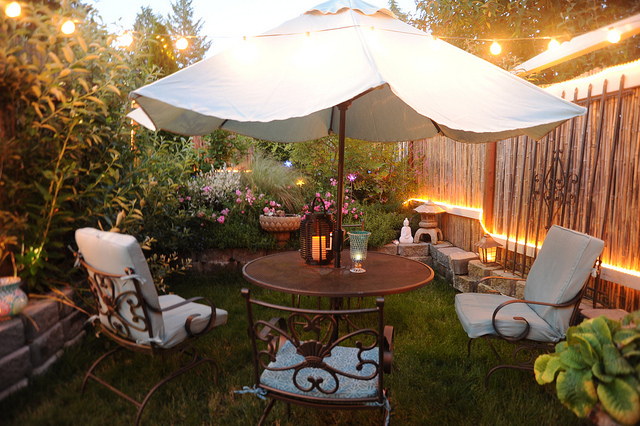 What to Do: If the porch, patio or deck at the house of your dreams is a junker, it can be a real deal breaker considering the cost of replacement. Like with other obvious big deal items, this is something you have to address in the initial offer. Ask the seller for a repair or a replacement — don’t mess around. While you certainly can build a deck, and if it’s a straightforward replacement, it’s a pretty simple job, the big question is will you? Will you find the time to get this work done while you’re moving in and making other repairs and getting situated? Always ask for porch repairs. Trust me on this. If the seller balks, see if they’ll meet you halfway and pay for part of the repair. On an FHA loan, a bad deck or heaving porch could be a barrier to closing. Depending on where you happen to be, fencing may or may not be a sort of foregone conclusion. Where I live, most houses have fences, but in other small towns outside of my city, it’s just the opposite. If you want a house with a fence, it’s really better to buy one that already has a fence installed if you can find one. Even if the neighbors have fences, that’s a good start — you’ll just have to connect their fence to your house to complete the fence circuit. Having either no fence or a good fence is no problem. A damaged fence is a bigger issue. The biggest issue here is that most of the time fences that have damage or wear have been around long enough that no one is really sure who owns them. Maybe the fence belongs to the seller, maybe it doesn’t. Maybe he’s going to pretend like it doesn’t so he doesn’t have to fix it — and there’s no great way to know for sure. Now, that leads to problem number two. If your seller doesn’t claim the fence to repair it, you may have problems if you ever want to take it down to replace it with something else. Especially if it’s a shared fence. Fences are tricky things. So, generally, you should buy the fence you want, or talk to the neighbors that share that fence before you ever consider writing an offer. People get testy over fences, and sometimes for good reasons. Maybe they’re using that fence as a trellis for climbing plants or they have pets or kids that the fence secures. Maybe they believed the fence was theirs and now you’re messing with it. It can be very difficult to determine who owns a fence because many times adjoining neighbors paid for fences collectively. So repeat after me: buy the fence you want right now. The alternative is to buy a property with no fence and have one installed. You’ll need a surveyor to ensure you’re putting that fence in the right place, so keep that in mind. You certainly can just throw up a fence on your own, but you run the risk of being told to move that fence because you put it on an easement or on your neighbor’s property. 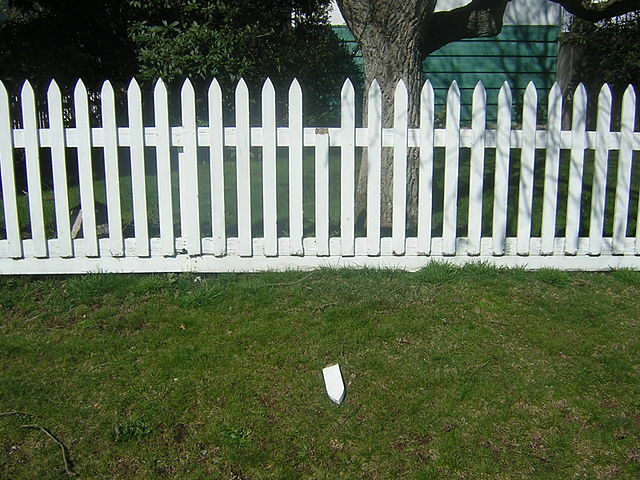 What it Can Cost: Simple repairs to fences with friendly neighbors are usually very cheap. Wooden fence pickets cost a few dollars; pieces for chain link fences are in the same price range. Keep in mind that these are regular maintenance items, so you’ll want to get good at making these repairs yourself. Even if you call a fence guy the first few times, have him show you what he’s doing so you can eventually take over the simple jobs. Installing a new fence can be considerably more costly. HomeAdvisor places the price of metal fences at $1,100 to $2,300 and wooden fences at $1,500 to $3,500. If your lot is considerably larger than average, that price will be higher since fencing is sold by the linear foot. What to Do: A broken fence needs to be repaired, period. There’s no excuse for poor maintenance. If the seller won’t fix an obviously damaged fence (serious damage here, not dings or rust on a metal fence or a little peeling paint or stain on a wooden fence), there may be other problems with the house that you’ve not yet found. Fences are one of those things that seem very straightforward until they aren’t — and you’re suddenly in the middle of a boundary dispute with a neighbor. Depending on the age of your home, your driveway may be made using any number of materials. Some areas still allow gravel driveways to be grandfathered in, and even these, if in good shape, are absolutely serviceable options. What your driveway is made of isn’t nearly as important as the condition it’s in. So, when you’re looking at potential houses, make sure you look down, at the driveway. Some cracking is normal for concrete or asphalt, but if big chunks are missing, it’s crumbling or heaving, you’re going to want to address this in your offer. Because correct driveway repair can require a special skill set, you’re better off having the homeowner get an expert, or getting one yourself after closing, rather than letting problems in your driveway get out of control. Fixing a driveway now will save installing a driveway later. As for gravel driveways, it’s not just about having rocks lying in a pile, it’s about having a properly constructed gravel bed topped with larger gravel for traction. If there’s a lot of grass coming up between the gravel, the gravel bed has a problem. What it Can Cost: If your driveway problems are minor and your driveway short and straight, it’ll cost a lot less to fix it than it would if it were long and curvy with major damage, that’s pretty obvious. As for how much, that’s a little more nebulous. 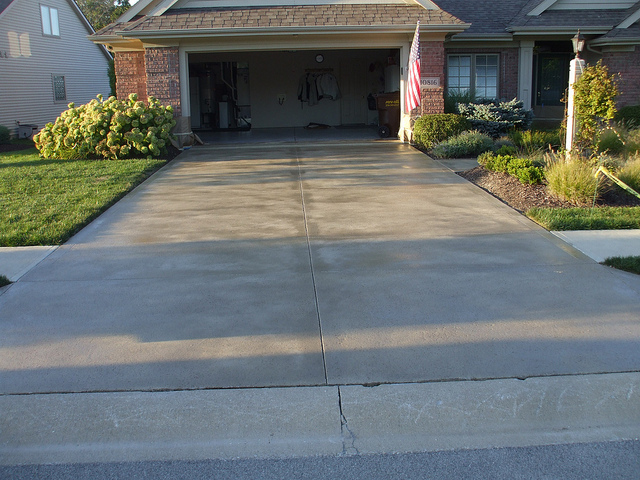 HomeAdvisor reports that driveways, on average, cost their owners $1,440 to repair. However, there are a lot of factors involved in this number. If it’s a gravel driveway, you’ll need to check with your planning and zoning department to make sure you can make major repairs to the gravel bed. If they no longer allow gravel driveways at all, you may be forced to upgrade to asphalt or concrete, which can cost considerably more. What to Do: Don’t stress over a functional driveway with a few cracks in it, provided the cracks aren’t wide or buckling. Driveways with bigger problems should be addressed by the homeowner, in a perfect world. If the damage is major, like lifting from tree roots or massive erosion from water, for example, you definitely want to ask for the repair in your initial offer — and don’t back down from it. Although this isn’t strictly an FHA or USDA punch item, it could come back as an unacceptable hazard and make closing difficult. Of all the optional bits of hardware that can come with a home, pools and hot tubs should be considered the most optional. They’re definitely the most troublesome and usually the most poorly maintained. That being said, if the pool or hot tub in question is currently in use and appears to be in good shape, then it might be worth diving in, so to speak. I mean, who doesn’t want a house with a pool? But there’s a lot to buying a house with a pool. Pools are finicky things, and pool equipment prone to trouble. All of that being said, don’t rely on your home inspector to know enough about that pool equipment to tell you if it’s good, bad or otherwise. Call a pool guy. In fact, call the pool guy whom you intend to use to maintain your pool. 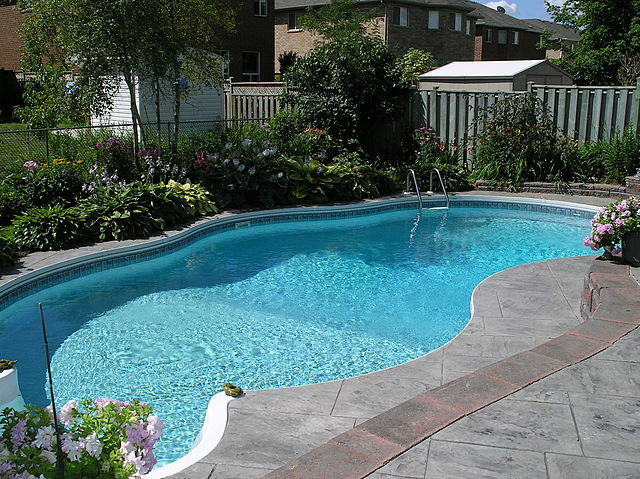 Have him take a look during your inspection period and make sure the hot tub or pool in question is actually configured properly and is safe to be used. Sometimes, you’ll find a pool or hot tub that’s been drained and winterized, that’s a scarier proposition. Especially if said item is above ground. Ideally, you’d want it filled to check for leaks, but sometimes the weather isn’t with you for that and you’re going to have to take it on faith. And if you do, you’re a braver soul than I am, because I am very untrusting in other people’s willingness to do proper maintenance on a large item like this. Follow the same routine, have your pool guy check it out and so forth, and take his word for it. After all, you don’t know anything about pools. If he does find a problem, you’ll want a written report so you can include it in your repair list. You want that pool working and ready for pool season! What it Can Cost: Pool repair is one of those things that’s sort of up in the air. The cost of repair is going to depend on the extent of the repair. If there’s a tear in the liner, it might only cost a few hundred dollars to fix, but if the liner’s trash and you need a new pump and the electrical’s shot and the pool skimmer’s garbage, well, it adds up. HomeAdvisor spent some time putting these expenses together in one place, and they found on average, homeowners spend $564 on a single pool repair. Pools are like sports cars — they can be a lot of fun, but they can also cost big bank when they have problems. What to Do: Honestly, don’t buy a house with a pool or a hot tub. At least a hot tub can be easily filled in or thrown away because they’re generally fairly small. A pool, on the other hand, is sort of a huge thing that can become a giant headache if the homeowner doesn’t have a ton of documentation on every aspect of its care. If you want to put in a pool, on your own, do it. Absolutely — just go for it and don’t look back. However, buying a pool is a huge gamble. You could be buying someone else’s problems. You could be buying a lax maintenance schedule, cheap parts and a general collection of garbage that’s about to break down. Buying a used pool is like buying a used car — the most important factor in how long it’s going to last you is in how well it has been cared for. When they’re looking to sell a place, no homeowner will tell you that they didn’t bother to keep the filters clean or close the pool before it got cold because it was all just so much of a hassle. They’re going to say they did a great job, they’re the perfect pool owners, it’ll last you a million billion years, for sure. The best you can do is ask for maintenance records and hope for the best. Some home warranties will cover pool equipment. If you can get your hot little hands on one of these, do it. Ask the seller to pay for it, of course, but if you have to pay the piper, trust me, it can be worth its weight in gold. I can’t begin to tell you how many times I pulled up to a cute little house without a garage with a first time homebuyer and the first words out of their mouth were “Well, we can build a garage, right?” This is a really tricky question without a clear cut answer, like so much in this blog. But I want to address it because I think it needs to be addressed. First, most cities have rules about where you can and cannot place a garage. They have to be so many feet from the back property line, so many feet from the front, so many feet from the sides, so many feet from the house (if they’re to be detached). That can also apply to the driveways you use to access said garage. For so many homebuyers, the homes they’re buying are built so close to the property line that there’s nowhere to go with a driveway, let alone a garage. So, that’s problem number one. Problem number two is that you can’t just throw up a garage. It’s not a lean-to… it’s not a storage shed. A garage is considered a permanent structure, which means you have to build it like a permanent structure, complete with footings, foundation, poured floor, walls, roof and the whole shebang. In some places, you’ll need to file plans with the city, in others you’ll need to obtain a variance to be able to plop that garage behind your home because that’s not what people do in your neighborhood. In short, it’s not just a simple thing to build a garage. Now that we understand that, what IS an easy thing is buying a storage building. A storage building is considered a portable structure, you can stick your lawnmower in it — heck you can get some bigger than some New York City apartments. If you want a cover for your car, you can throw up a carport. Same principle — it’s considered portable, so the headaches go down by a factor of 10,000. If you want a house with a garage, buy a house that has a garage. Don’t count on being able to put one in. If you find the perfect house, if only it had a garage, and you’re pretty sure there’s space for one, go to the city planner and have a long talk about it. See what they say. Theirs is an unofficial opinion, but it’ll give you a really good idea. What it Can Cost: We discussed several things above, so let’s look at each one. Storage buildings: At Lowes.com, the Heartland Hillsdale Gable Engineered Wood Storage Shed, which measures 8 feet by 12 feet and has a front double door and a side single door — this thing is the Cadillac of storage buildings — will set you back $1,899. At that price, you’ll have to prep your own spot and build the kit, but they’re designed to be fairly easy to construct, if not time consuming. This is a project you can handle. Carports: The VersaTube 12 ft x 20 ft x 12 ft Metal Single Car Carport, which is a basic stand-alone unit also found at Lowes.com, will cost $1,848 before tax. This is another project you can do yourself, without a doubt. You may need to buy some tools, but as a homeowner, you should be amassing a tool collection, as well as some basic knowledge about how to do simple repairs. This kind of thing is good practice. Garages: My aforementioned dad ended up building a monster of a 30 foot x 40 foot garage at that house tangled in the weeds. It’s out in the country on a piece of land, so there was no authority to answer to, but he still built it to the International Building Code. It was a lot more than what you’ll build, and I wasn’t there for all of it, but my guess is that it cost more than my house considering the size of the thing. HomeAdvisor says the average cost of a garage in 2016 was $24,794, and the only thing that surprises me about that number is how low it is. 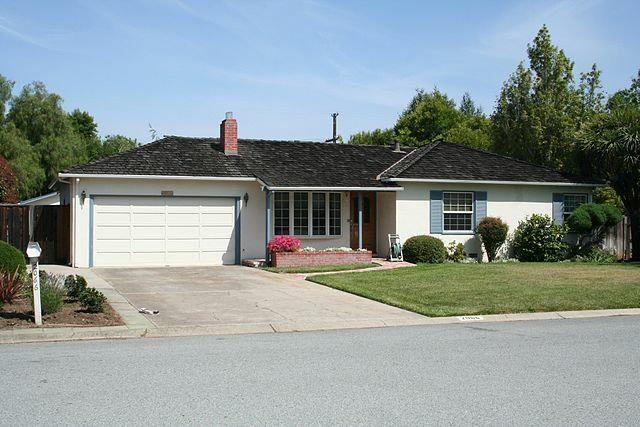 What to Do: If you want a house with a garage, buy a house with a garage. Don’t plan on adding one later — this rarely goes well. Instead, consider a carport or a storage building, they’re both affordable options for most home buyers. I mean, if you really want to build a garage, do what you gotta do, but go into this thing informed before you ever make an offer. Know what’s involved. Talk to Planning & Zoning, talk to a builder, find out what your options are. Get a ballpark price. Then decide if that house is really worth adding the garage you obviously need to the package. It might be. It was for my dad. Aside from little things like houses that desperately need to be mowed or are just a little ugly and need a coat of paint, most of the outdoor issues you’re going to be faced with will be on the order of magnitude of major. You’re going to need an expert to help you move forward, so don’t even mess around — ask the seller for these repairs up front in the initial offer. Ask him to fix the heaving driveway or the squirrely fencing or whatever you’ve got. Some of it you may be able to handle on your own, but outside stuff also carries a boatload of nuanced unwritten rules if you live in a community and a boatload of written rules if you live in an area governed by an HOA. That’s really why you need help, you need someone who can help you navigate this stuff without creating a political nightmare for yourself. If you want to make big changes, make sure those are things that are “nice to haves,” not “must haves.” Then get friendly with your neighbors. Once you’re pals, once everybody’s on personal terms, your want to replace that shared metal fence with a privacy fence that blocks everyone’s view of your flower garden won’t be quite the slap in the face it felt like before. That garage you want to build won’t be an eyesore, it’ll be a welcome change to the landscape.